I'm back! I had a bit of technical difficulties the last few days where I wasn't able to post, but now hopefully I'll be able to catch back up on my month long nail challenge. I was inspired by my LORAC Pink Python Palette (click here to see my guest post for KarlaSugar about it). 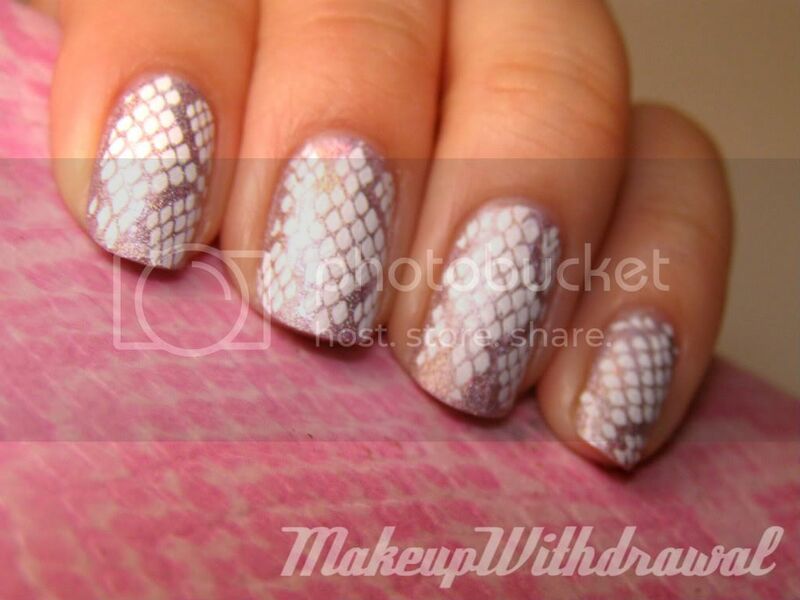 I'm usually not a fan of pink or scaly textures but when I combined the two for my nails, I liked the end result. 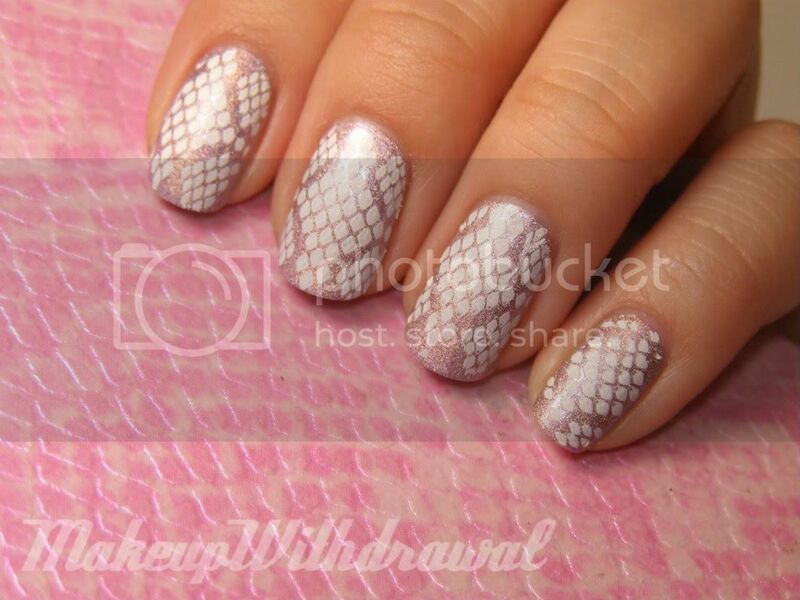 I used Color Club Fashion Addict as the base (which is not really a true pink, but a lavender pink holo) and used Konad Special Polish in White with BM 215 to get the snakeskin print.